There is a fast and efficient Malpensa Airport taxi service, and which avails taxis readily in the taxi ranks that are designated for this purpose. These taxi ranks are situated close to the main area handling arrivals and departures in each of the two terminal buildings. This has been done with the aim of optimizing convenience and easy access for the passengers. This airport taxi service provides one of the most convenient ways by which to travel to and from the city of Milan, not to mention the other nearby suburban areas of the region. The fares charged by the taxis are reasonably priced and the cabs can afford passengers the additional advantage of dropping them at their doorstops or at the exact location that they need to be at. 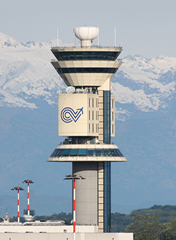 The journey from the airport to central Milan takes approximately fifty minutes when one chooses to use the Malpensa Airport taxi service.